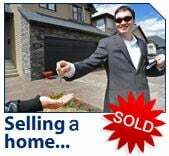 So you are thinking of selling your home? The real estate market has changed. You’ve heard that on the news, right? Fortunately for us, the Dallas/Fort Worth real estate market is one of the most stable in the nation. (Yay us!) Things are different than they were a few years ago, sure, but the basics of real estate still apply. A well presented house, priced correctly, will sell. Selling your home is an involved process that affects your family and your future. Before you begin this process, you'll want to ensure that you have the most up-to-date information. When should you sell? How do you get the best price? What kinds of renovations should be made prior to the sale? How do we survive the process with all our sanity intact? If you have questions, please feel free to call, 817-798-2420. We are here to help. Select desired reports and complete the form provided below.